Accent your coastal garden with the Distressed Mermaid Bird Feeder. 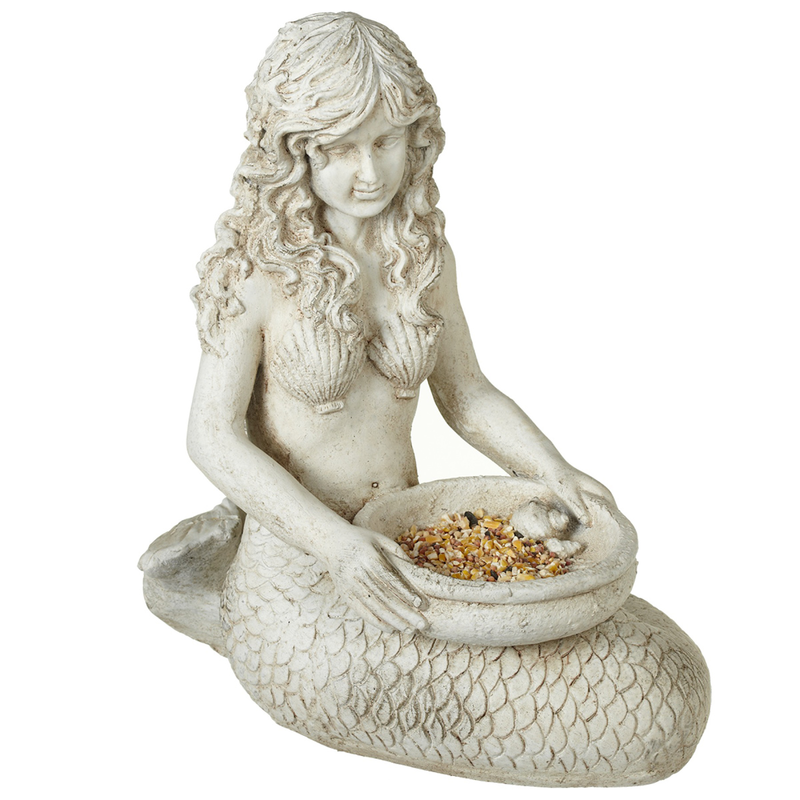 This bird feeder features a cream colored, aged finish mermaid holding a bowl for a beautiful addition to your home. ~ Ships from the manufacturer. �Allow 2 weeks. �Cannot express ship.